It’s ultra busy the day before publication of Johnny Mackintosh: Battle for Earth. On the Quercus Books blog (Quercus is my publisher) you can read my post about Doomed Teddy Bear Love. 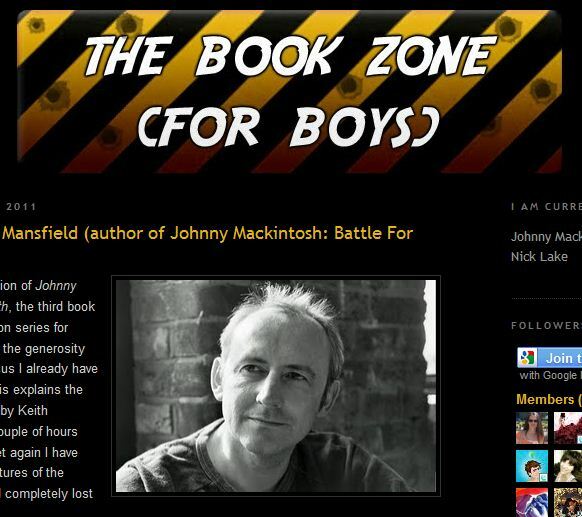 On the brilliant Book Zone for Boys website you can read another of my posts, this time on the coolest way (we’ve yet come up with) to land on another planet. 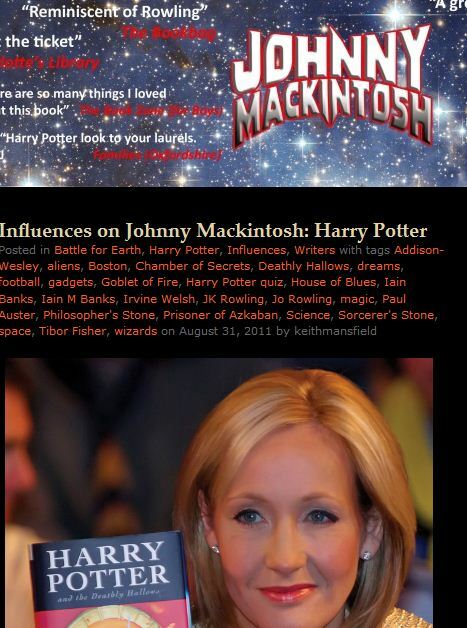 Then, over at www.JohnnyMackintosh.com, there’s a piece on Jo Rowling’s and Harry Potter’s influence on the Johnny Mackintosh books. What are you doing still here? Go and get reading! ~ by keithmansfield on August 31, 2011.